The idea of Symbiosis was an outcome from the first meeting I had with Jarmo Lipiäinen when we started writing Customer Journey Management – the book. It was there all along but became more and more exciting as we really started working on it. We came to conclusion that Symbiosis is also possible and doable in many forms in business as it is in nature. The driving force for the Symbiosis is to find the ultimate value proposition and create collaboration in order to achieve it. Most often the ultimate value is a blind spot for companies in certain business sector just because it is impossible to reach solo. In the first year of business school, there was a professor visiting from the university of Beging. He told how foreign companies had to integrate in the society in order to become accepted and actually do business in China. Chinese customers required companies to establish their position in the market and become accepted. Company should contribute society by employing people, invest in local production, support local schools and educate people to work for them. It now seems that also western markets are beginning to require higher ethical standards from businesses. Mr. Michael Porter has developed a theory of “shared value”. Shared value is about creating long-term competitive advantages by engaging with societies in deeper level. He used and examples comparing corporate social responsibility ideology like fair trade as an example. Fair trade pays a little more to farmer in order to improve farmers living conditions and consequently the products cost more in store where consumers eventually pay more too. In shared value example, the company doesn’t pay extra for farmers, but educate them, invest in better transportation capabilities, provide farmers with more effective production capabilities. By doing this, the company now gets higher quality products at the same price as before, only the farmer’s now get 200-300% more income than before. The products cost the same as before, the company has secured production and the farmer and society where the production is done benefits much more than fair trade could ever offer. Mr. Porter argue that during the past 30 years companies have completely concentrated on maximizing profits. In recent years business increasingly has been viewed as a major cause of social, environmental and economic problems. Companies are benefiting their owners at the expense of broader community. This has put capitalism system under siege. There have been symbiotic customer & partner relationships in the past. However, current communications technology, software and service development has resulted an outburst of this business model. It has become more and more evident that companies can simultaneously be interdependent and interproductive towards the ecosystem operating in symbiosis. This model exists with in the ecosystem, but ecosystem can also exist without direct interdependency and –productivity. An icon for platform based symbiosis and actually, shared value too, is Microsoft with Windows. Windows has led the way as computers have become natural parts of our everyday lives. Windows became the standard along with MS Office’s word, excel and power point and Internet explorer. Due to dominant platform position, other software developers have been capable of cost efficiently developing all sorts of applications and software for it and increased the level of service PC has been capable of delivering for all of us. Windows and other Microsoft products resulted enormous profits for Microsoft but also IBM, Oracle and thousands of other information and communication technology and software companies. Further on, as computers spread so fast Windows also played important role in the Internet revolution. At society level, Microsoft has enabled major increase in profitability at global level. Microsoft in general and especially Windows has changed the world. Co-creation has re-emerged as new way of creating value and business concepts from online environment and created a lot of fuzz as such. In the online environment most games and services would be empty without people interacting on them. The businesses actually rely on customers to create meaning for the frame, platform or game they are providing customers with. World of Warcraft, Facebook, Habbo Hotel, LinkedIn, the list is endless. In these cases the company provides customers a platform for communications, social interaction and fun. Customers co-create the meaning and the company funds their business by selling users attention to advertisers. Advertisers on the other hand also participate in value creation for users and co-create value both ways. In these cases each party act selfishly and use the opportunity of a) great free and fun communication platform as a customer b) great reach and dialogue opportunities as an advertiser c) enjoy the scale and free value creation by users and advertisers enabling commercial success as a platform owner. Another form of co-creation is the rise of mutual companies. These companies are owned by their customers and have representatives for the owners steering the company. Wikipedia: A mutual, mutual organization, or mutual society is an organization (which is often, but not always, a company or business) based on the principle of mutuality. A mutual exists with the purpose of raising funds from its membership or customers (collectively called its members), which can then be used to provide common services to all members of the organization or society. A mutual is therefore owned by, and run for the benefit of, its members. Members could benefit from dividends or lower cost of service. North European countries are welfare states that have a cultural fusion combined from socialist thinking and pure capitalism. In these countries the state has strong role in healthcare, welfare and education. In these countries anyone can study in University and get allowance from State to support your studies. Educational level is at very high level in average in the total population. All this is financed with successful capitalism and taxation that benefit from commercial success of companies, capitalism in a word. North European model could be considered as a model for Shared Value in the state level. As the economic turmoil is shaking ground of how nations are organising the North European model is gaining traction. In this culture Mutual companies are doing very well. For example in banking and retail the market leading players are mutual and other mutual companies are also doing better than companies in average. In 2004 DMA event in New Orleans I was privileged to see when Mr. Robert Gierkink from Loyalty Management UK presented the Nectar –loyalty card case and really showed how it is possible to create Symbiosis between companies in order to create much higher value for customers in order to fight against competitors and really challenge them with pure customer value. The core idea of Nectar –loyalty program is to join forces and relationships of several companies in to one single program in order to enable stronger hold of customers in variety of different contexts and also offer higher reward for buying from this coalition. As a brand Nectar program is very skilfully positioned as high value for both coalition partners and customers. The idea of Nectar was to spread current customer relationship and tie it to new partners enabling effective cross selling operation and increase in sales for all partners resulting a tool for market growth in all participating partner categories. The idea of Symbiosis between partners was very well argumented both rationally and emotionally. This symbiosis materialized as Nectar, which was positioned as a customer servant supporting customer’s individual needs and behaviour in his personal life. Nectar’s role as a program was to give individual advice and hints suitable for your consuming and lifestyle. 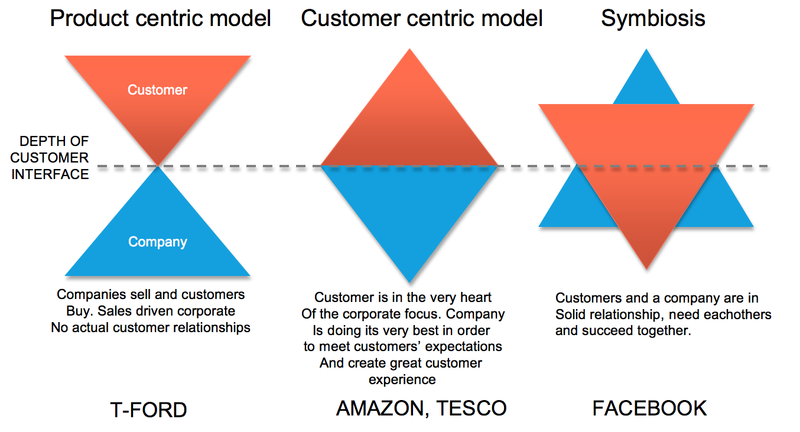 Nectar does it’s job in order to integrate new brands and companies to customer’s life and rewarding for it. Nectar worked too, it dropped the cost of acquisition and customer care program by 50%, cost of mailing was 1/44 compared to before. Partner companies like Barclaycard increased their turnover by 9% in the first year and BP sold 4% more at lower cost. In Direct Magazine Sainsbury reported that their responses to Nectar’s targeted mailings in paper and e-mail have increased by 300% and estimated that it has 50% efficiency improvement in understanding and segmenting it’s customers. 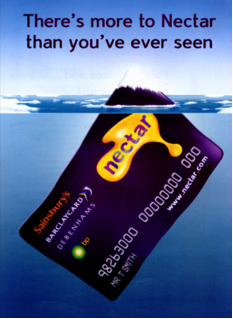 After Sainsbury launched Nectar for their customers, according to financial statements, their profit rose 14,2% from previous year and 10,8% in the following. At that point Tesco reacted by doubling their advertising investments and struck back by recruiting new members to their Clubcard program. In the following year Sainsbury’s profit decreased by 2,9% from previous year. However, Nectar profited participating members by coalition Symbiosis and increased value for customers resulting stronger steering power and pull towards companies participating in the program. There’s nothing new about synergy. Companies collaborate and have always operated in win-win relationships. However, we feel that most of the companies actually don’t look for the ultimate value proposition but settle for the second best. The four models of symbiosis: Shared value, Platform based, co-created and coalition models often occur in the way that they are combinations to some decree. Still, we think these four distinctive models offer a full perspective of what can be done and where you should look for such opportunities. What we predict and anticipate is a new breed of corporate collaboration, which means new burst of holding companies offering new value propositions based on combined synergy value from different companies concentrating on their core business but creating completely new value in collaboration. Please comment and contact us about symbiosis strategy. This is the first time we publish this concept and we would love to have it validated academically. Here is a whitepaper about how to come up with Symbiosis potential that I wrote way back 🙂 NOTE: in the square with segments from 1-4 the number 3 segment is about Habit driven behavior and that has not been defined in the text.